Are you having trouble deciding what color palette to use for your new kitchen? Take a moment to read through these options from colorful kitchens that work. 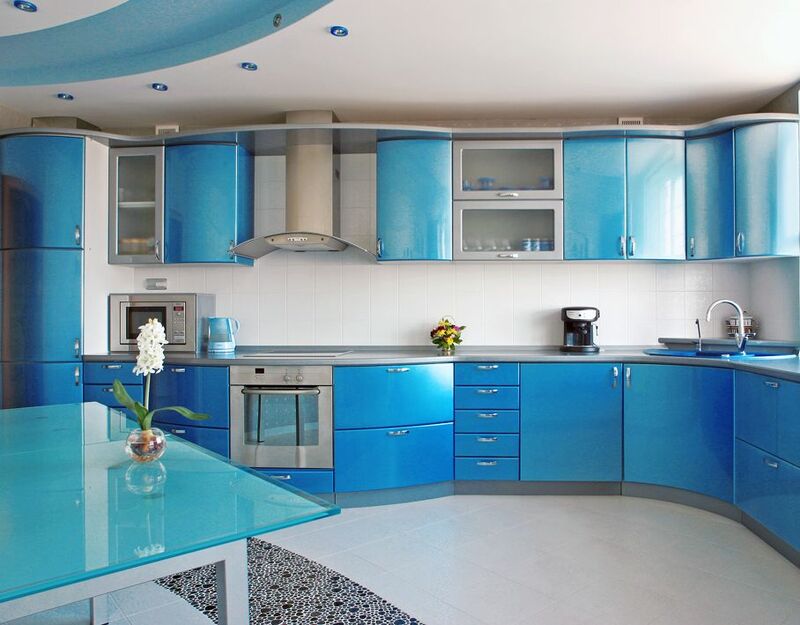 Choosing colors for your kitchen can set the tone of the room. 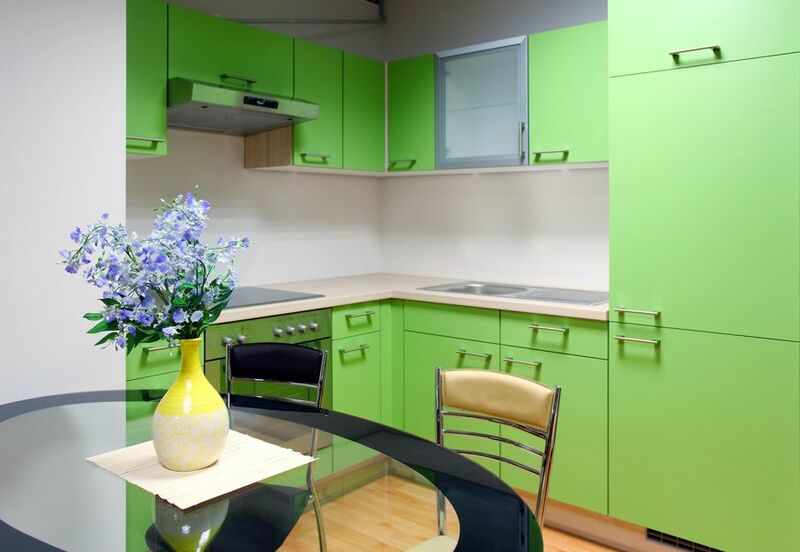 If you’ve moved into a new home or just renovating, you can make the color of the kitchen the base for your furnishings. 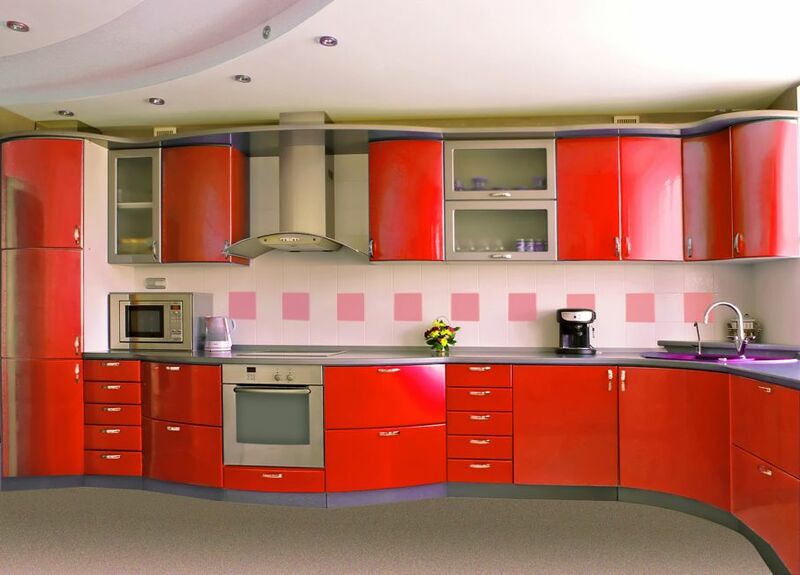 Here are some color choice ideas for your kitchen project. You can create a welcoming vibe in your kitchen with a warm color palette. If you have light wood tones on your cabinets, a deep red backsplash with bright orange accents can mesh well. Add a touch of light gray to tone down brighter accents, and use the sun as a source of light if you have windows in your kitchen. Lighting also plays a part in coloring your kitchen. With help of the sun and correct placement of lighting, you can make your kitchen look distinct in different times of the day. Placing hanging lights above your kitchen island will give you the opportunity to dim other lights for a comforting feel. Cool colors like blues and greens can create a relaxing atmosphere in your kitchen. Place pastel frames or decorative tiles on your walls. Pale green or blue cabinets, white or eggshell walls, and a darker black or blue countertop will give your kitchen a cool, and many colors that go with teal create a crisp look that reflects light and creates a very spacious feel. If painting your walls white is too bland of an option, paint your walls gray. 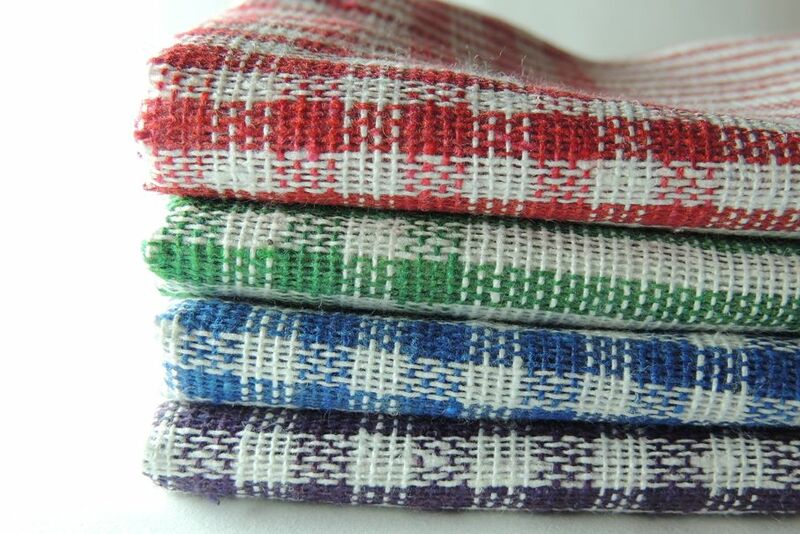 This will let you decorate the rest of your kitchen with colors of your choosing because of its neutrality. If you’re a fan of bold colors but you don’t know how to incorporate them into your home, choose one single color as your focus. A bright red or lime green adds a nice accent on a wall, and mixed with neutrals can provide a modern aesthetic. If you go for lime green for your walls, lean toward gray, blue-gray, and tan as your neutrals. With red, try slightly warmer neutrals like chocolate brown, beige, or warm gray. Focal points in your kitchen like the backsplash, island, and kitchen table can be used as bold elements while keeping the furnishings around these items dimmer. Add an interesting pop to neutrals with a splash of bright yellow. For this color scheme, paint the space between your counter and your cabinets yellow, or reserve your yellow splash for the walls on your island counter. 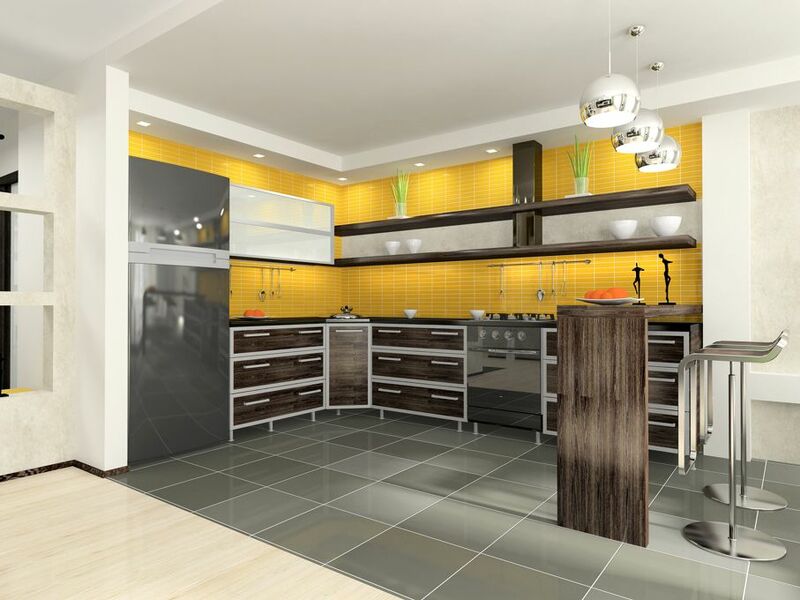 Yellow accent pieces like clocks and tea kettles work well within both neutral and bolder colors in kitchen design. When it comes to choosing colors for any space in your home, little details can define a whole room’s aesthetic. If selling your house is on your agenda, you may not want to over-personalize your kitchen with permanent changes. Don’t let this limit you from playing with colors. Pre-painted, neutral walls work well with brightly colored accessories. Bright red counter stools, matching tea towels, or complementary carpet squares can add bold, visual differences, and you won’t have to repaint or redecorate your kitchen when you move out. You can completely change the look and feel in this type of kitchen without painting or changing out appliances. Images used with permission, courtesy of www.bigstock.com and www.dreamstime.com.